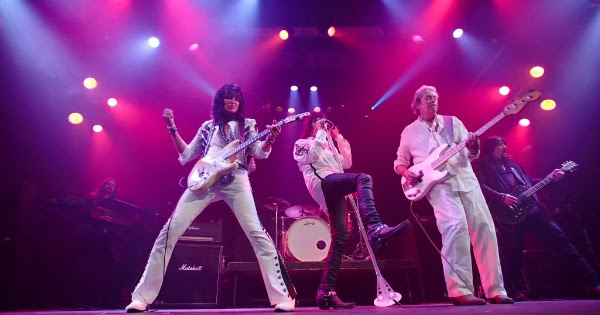 PUNKY MEADOWS Releases New Video And Single For "Lost And Lonely"
Punky Meadows is from one of the most striking Hard Rock band of the 70's, ANGEL, and on September 18th, Punky Meadows will release the new single, "Lost And Lonely". The track features three members of ANGEL - guitarist Punky Meadows, vocalist Frank Dimino, and bassist Felix Robinson, as well as Punky's band members Danny Farrow, Charlie Calv and Bob Pantella, who all performed on the song. They also filmed a brand-new video at The Chance Theatre in New York for the song, in which it is the first time since 1980 that three members of ANGEL appear together in a music video. Check out the video on KNAC.COM HERE. The video was shot by Jeffery Moore, who co-directed with Danny Farrow. The Track can be ordered at iTunes HERE. Punky Meadows also just launched a new merch Store with many shirts, posters and other great items you can order at https://shop.bandwear.com/punkymeadows. And more exciting news - Punky and the band just signed with The Artery Foundation Artist Management, and will be working on many new exciting things together, including a slew of shows for 2018. Lastly, Punky and his band will be doing a special show November 10th at the Debonair Music Hall (Mexicali Live) in Teaneck, NJ. You can get tickets and meet and greet at link for Punky’s official site below.